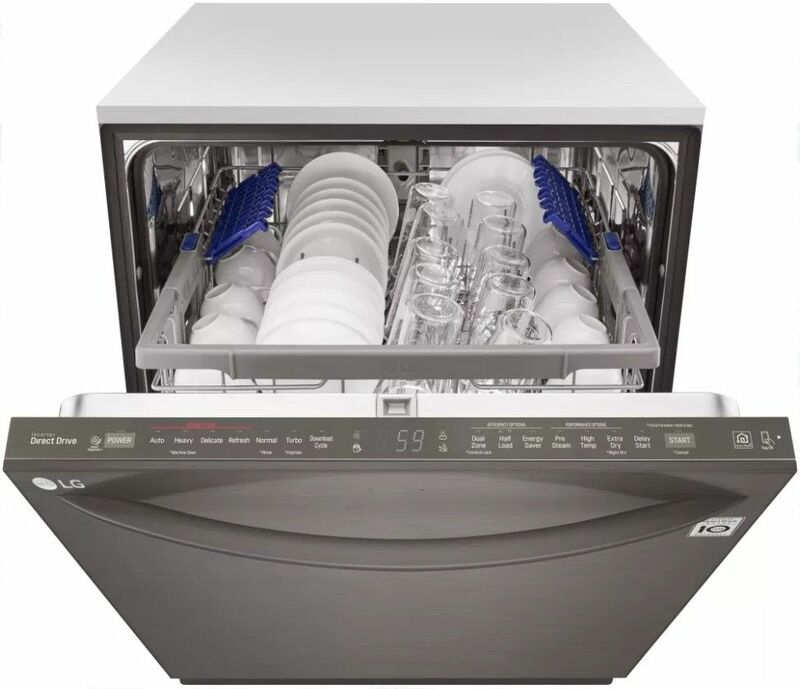 Wash weeks' worth of dishes in a single cycle thanks to a generous 15 place setting capacity. LG's new smart home appliances enhance the efficiency and convenience of LG appliances, giving unprecedented control from the palm of your hand. 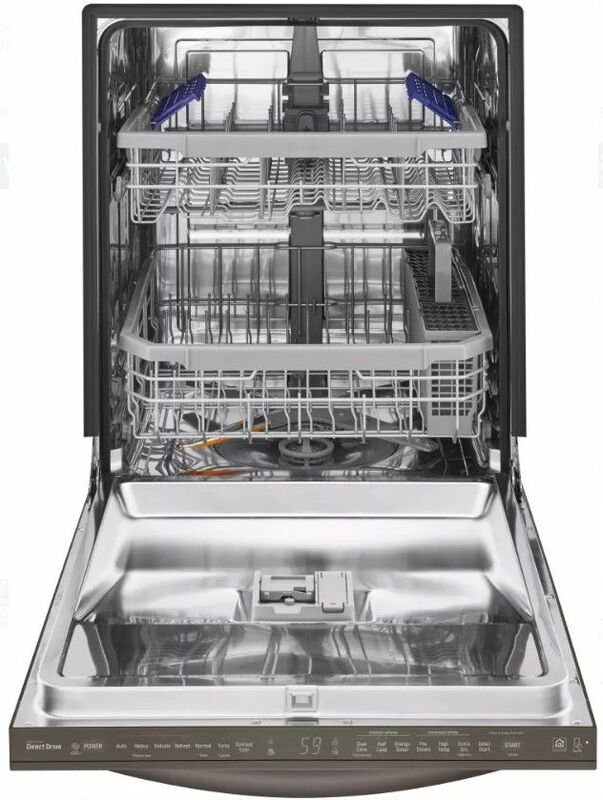 Start or stop your dishwasher remotely from your smart device. The QuadWash system uses Multi-Motion arms that rotate back and forth while spinning. The high-pressure jets power-clean dishes from multiple angles to reach every nook and cranny. LG's technological advances, like the Inverter DirectDrive motor and the advanced self-cleaning filtration system, were designed with quiet in mind. At 42dB, this dishwasher is among the quietest dishwashers in its class. The EasyRack Plus System gives you the ultimate in loading flexibility with height adjustable racking and fold down tines. 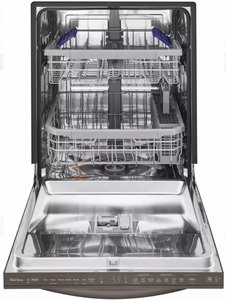 This dishwasher can easily accommodate dishes of all shapes and sizes. 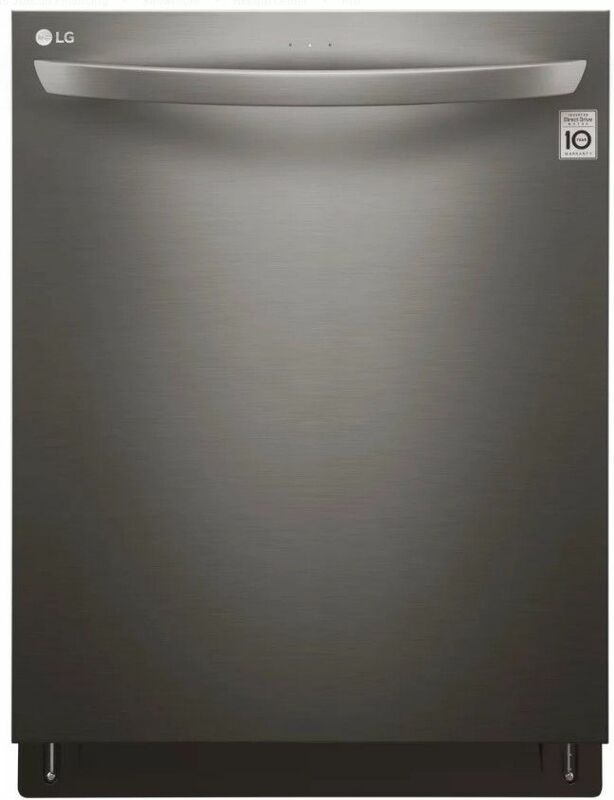 LG's NeveRust Stainless Steel Tub reduces snags and tangling and is designed for long-lasting durability.